Hello friends!! 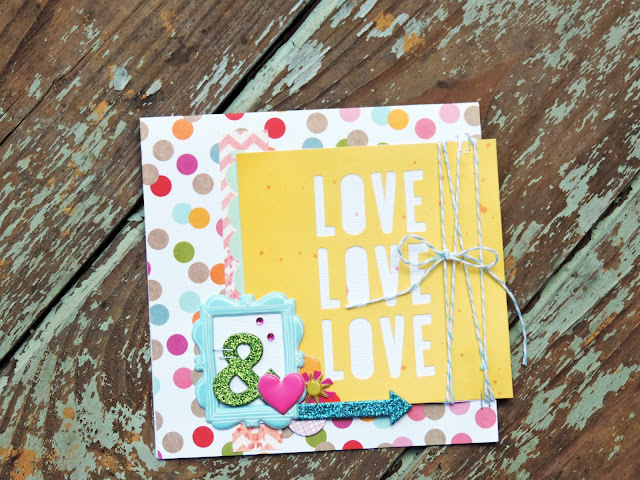 I have a fun and bright card to share with you today using some amazing goodies from me & my BIG ideas!! I love how easy the Card Pads and Cards in an Instant make putting together cute and simple cards...they are perfect for those seasoned card makers, and those like me who still get intimidated when it is time to sit down and try to create a card! On this card, I really wanted the "love, love, love" sentiment to stand out and take center stage, so I decided to cluster embellishments together in the corner to help draw the eye up. 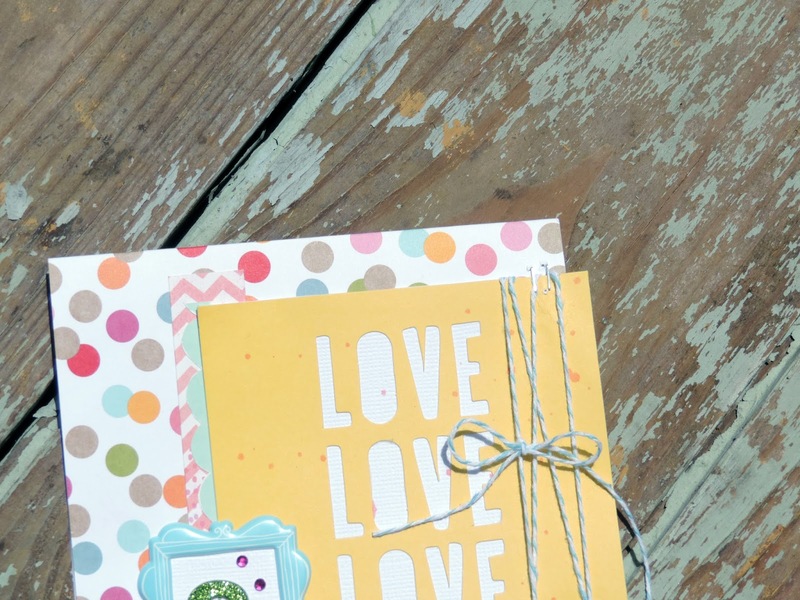 I love to layer, the different textures of stickers that mambi offers, here I used some puffy stickers, glitter sticker, and I even deconstructed a layered chipboard sticker to fit what I needed. 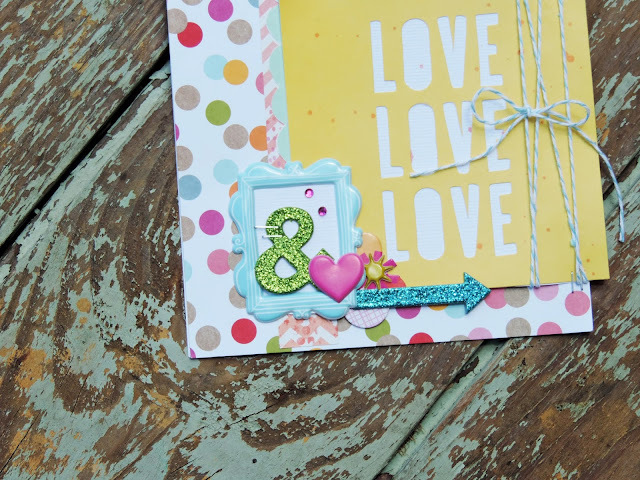 Don't be afraid to take layers apart, and rebuild to suite the need of your project! Check out all of the fabulous products me & my BIG ideas has to offer here in the mambi shop!